Aprons are essential for keeping your clothes clean while working in the kitchen or doing housework, but they can be expensive! 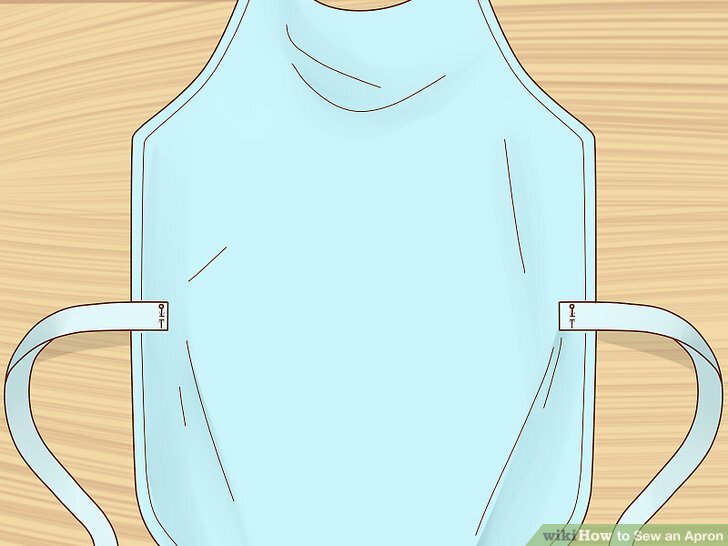 Making your own apron is easy as long as you have some basic sewing s****s and a sewing machine. Buy, download, or create a pattern, choose the fabric you want to use, and get started! 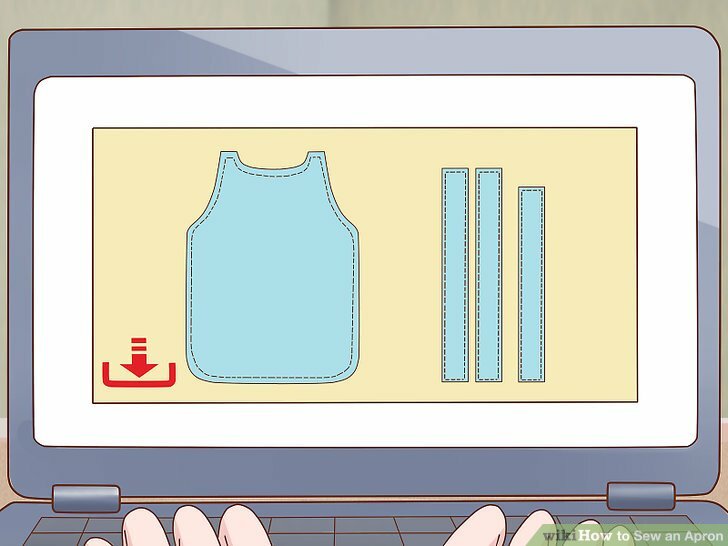 Buy, download, or create a pattern for the apron body. 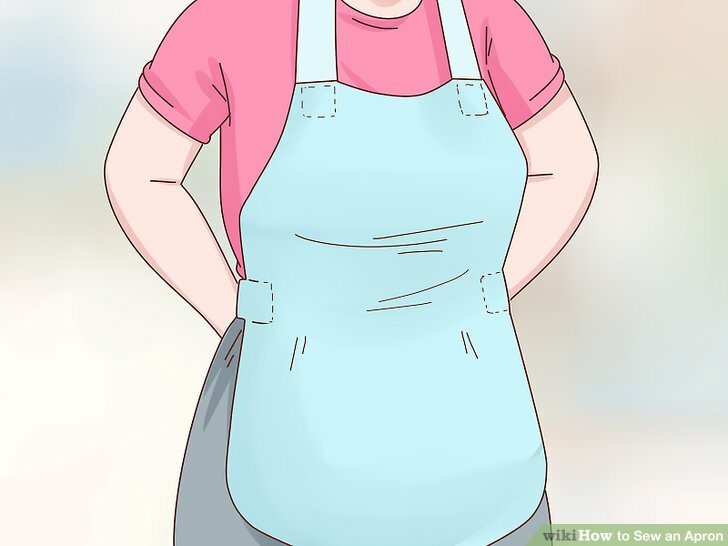 Purchase an apron pattern in a craft supply store. If you don’t want to buy a pattern, find a free apron pattern online to download and print. To create a pattern, fold an apron in half lengthwise and place it on top of a large piece of paper. Then, trace around the outside of the apron to create a pattern for the body of the apron. Add an additional around the non-fold adjacent edges of the apron body for seam allowance. 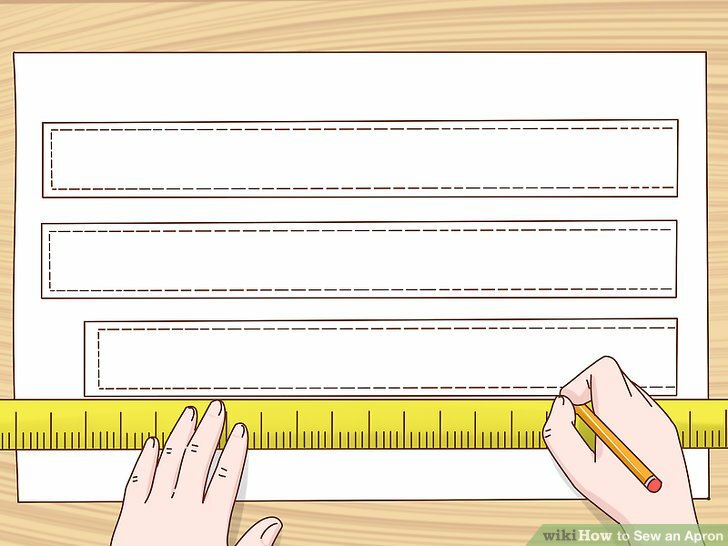 Measure the straps and draw them on the pattern paper. 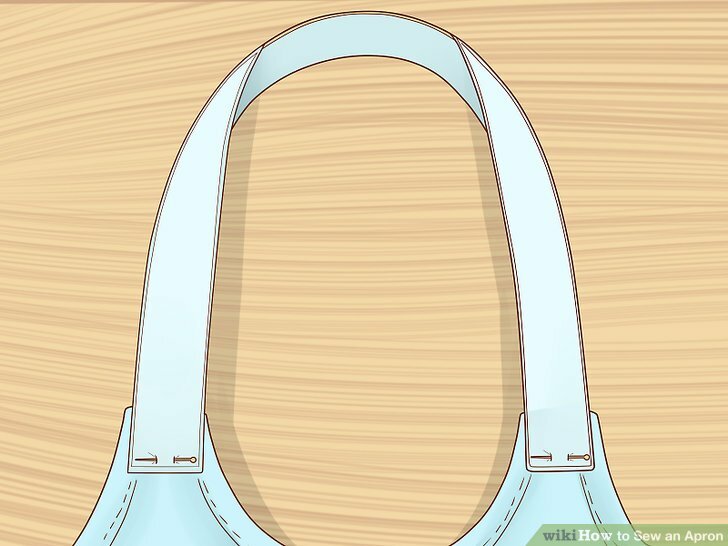 Measure the length and width of the strap that goes around the neck. Do the same for the ties at the waist of the apron. Then, draw a rectangle that is twice the width and half the length of each of the straps plus to both measurements for seam allowance. Make a separate pattern for the neck strap and the waist straps. For example, if the waist straps on the apron that you are using as your example are , then your rectangle would need to be plus seam allowance, so . 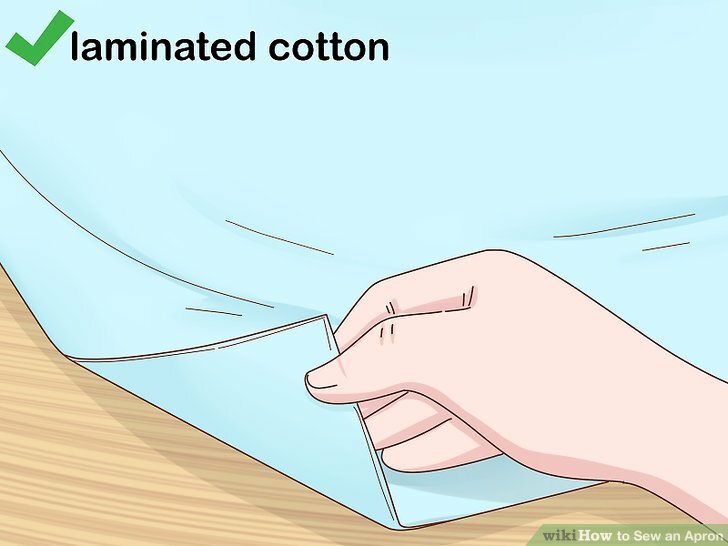 Fold your fabric in half and pin the pattern pieces on the fabric. 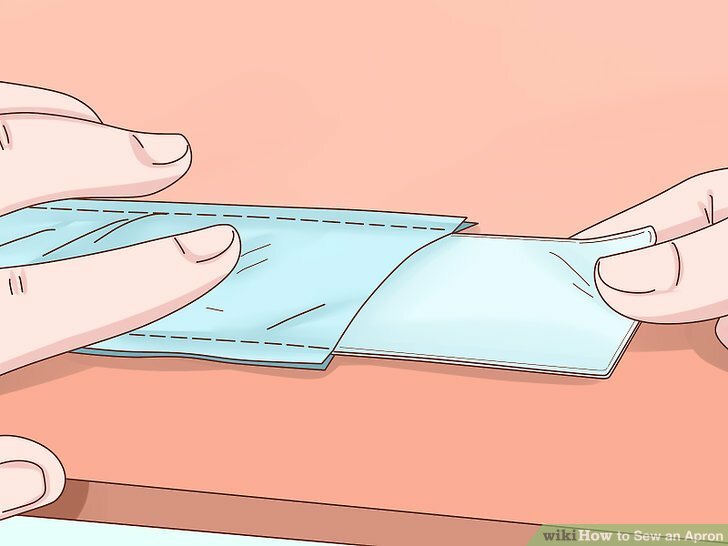 Fold the fabric in half lengthwise and smooth it out to make sure that there are no lumps or bumps. Place the body pattern piece so that the long straight edge is against the fold. Place the strap pieces so that 1 of the short ends is on the fold. Insert pins through the pattern piece and fabric. Place 1 pin every going all the way around the edges. 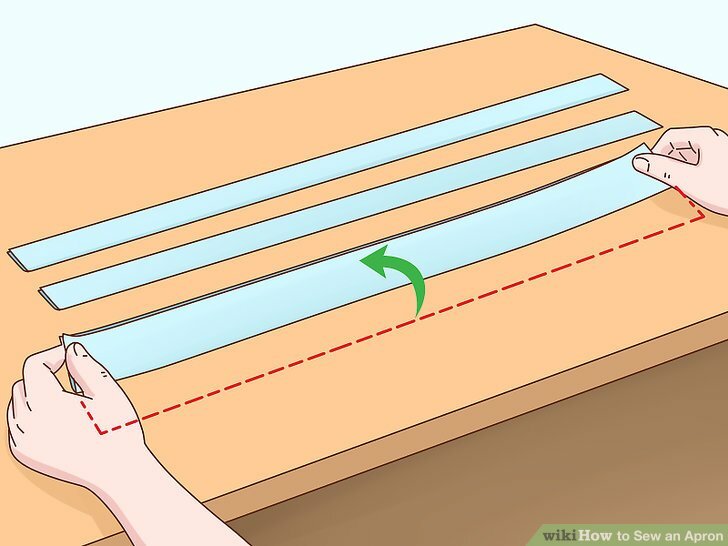 Fold the strap pieces in half lengthwise with the right (front) sides facing. Open up one of the strap pieces to its full length. Then, fold the piece in half lengthwise to line up the raw edges on the long sides of the strap pieces. Make sure that the right (front or print) sides of the fabric are facing each other and only the wrong (back or non-print) sides are visible. Place a pin every to secure the folded fabric. Sew along the raw edges of the straps leaving a opening. 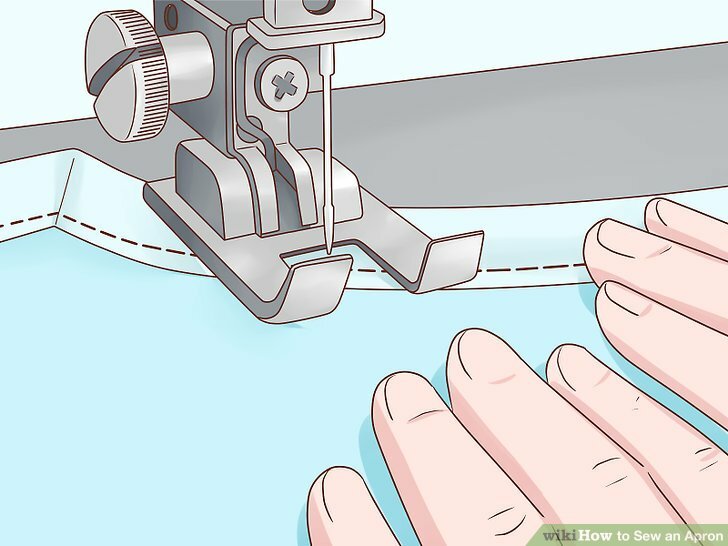 Set your sewing machine to the straight stitch setting and begin sewing along the edges of one of the straps. 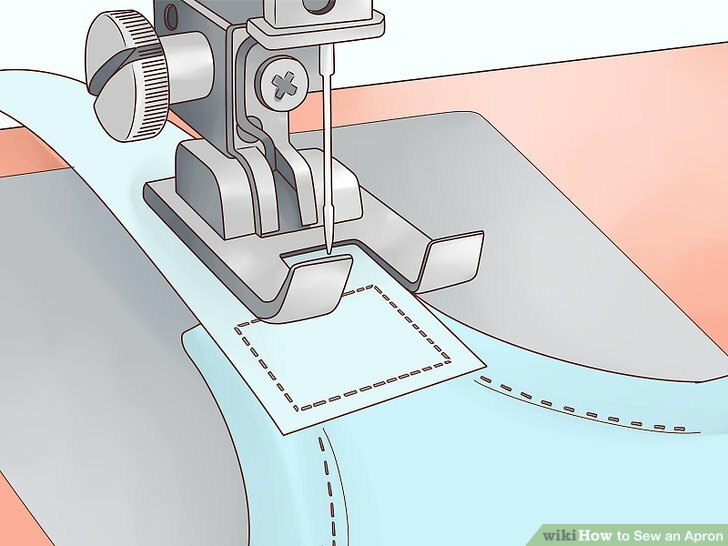 Position the needle so that it is from the raw edges of the fabric. 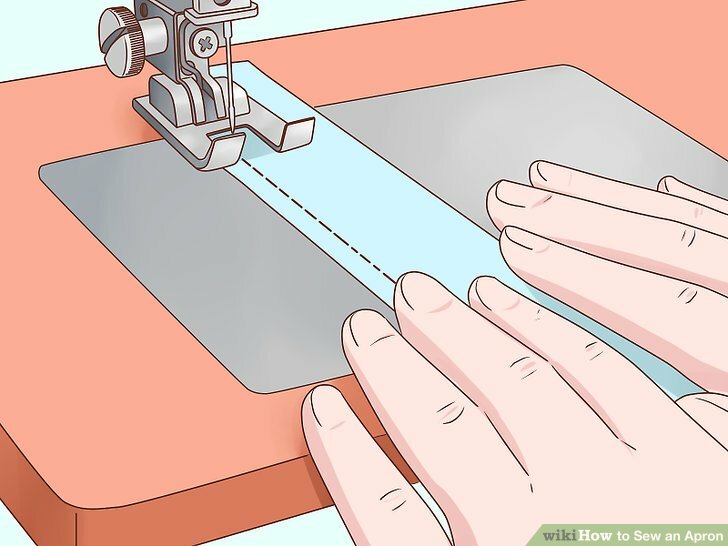 When you reach the center of the long edge, stop sewing and cut the thread. Then, resume sewing about from this position. Sew the opening closed and hem the edges of the straps. After you have finished inverting the straps, tuck the fabric under along the opening so that it is hidden and even with the rest of the seam. Place a couple of pins through the fabric to hold the opening closed. Then, sew a straight stitch all the way around the edges of the straps. Keep the stitch about from the edges of the straps. Hem the edges of the apron body. Fold over the fabric on the edges of the apron body piece by . Make sure to fold the fabric over to the wrong side so that the raw edge will be hidden on the back of the apron. Insert pins every along the edges to hold the fabric in place. Then, sew a straight stitch about from the fold to secure the hem. Pin the ends of the neck strap to the top edges of the apron. Place the end of the strap so that the right side will be facing out and then the seam will be hidden on the wrong side of the apron body. Make sure that the end of the strap overlaps the top edge of the apron by about . Position the end of each strap so that the outer edge of the strap is parallel to and even with the outer edge of the apron. 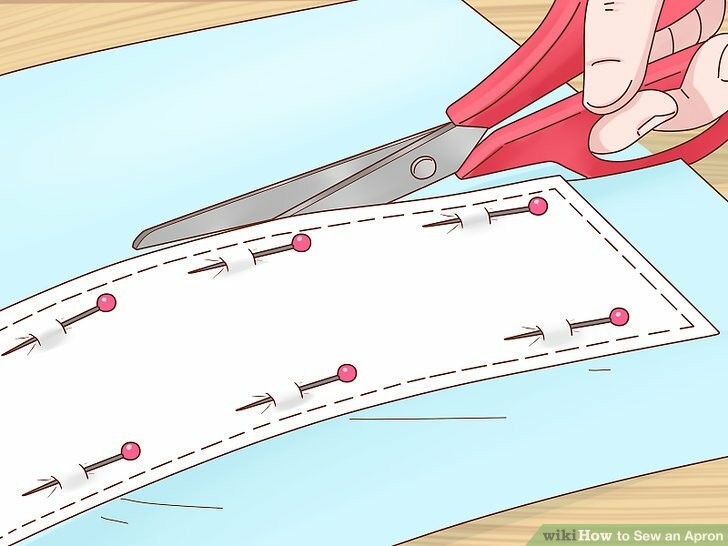 Sew a straight stitch in a square shape to secure the ends of the straps. Start sewing at the top most corner of the apron body to attach the first end of the neck strap. Position the needle so that it is about from the edge of the strap and apron body hem. Then, sew straight down by . 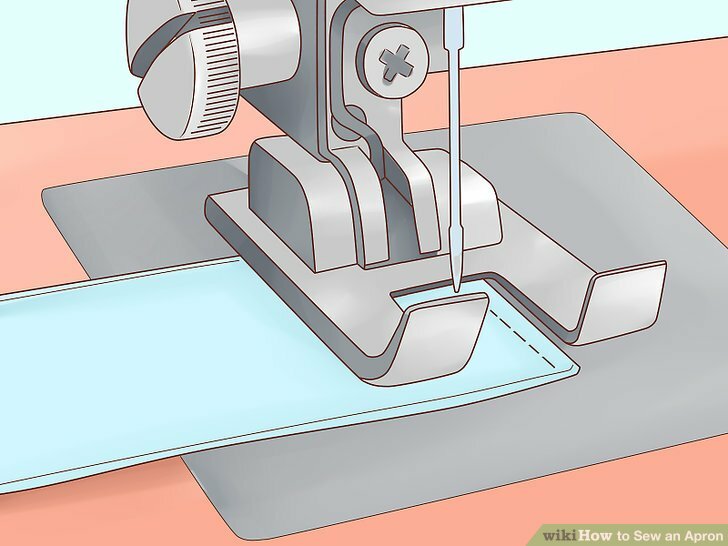 Turn the fabric 90 degrees and sew across the bottom edge of the strap. 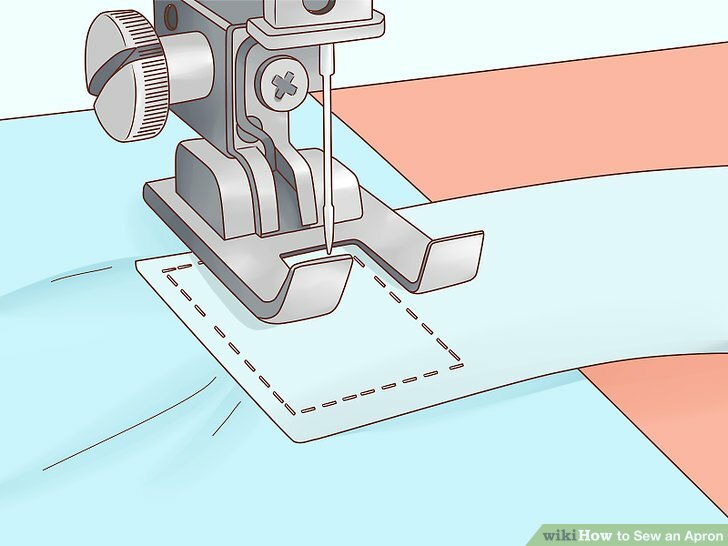 Repeat to sew a complete square through the end of the strap and the corner of the apron. Pin the ends of the apron ties to opposite edges of the apron body. Attach the waist straps so that they are horizontal and the long edge is parallel to the middle of the apron. Arrange the end of the strap with the right side facing out and the seam facing away from the front of the apron. Overlap the top edge of the apron by about . Position the end of each strap with the outer edge parallel to the outer edge of the apron. Sew in the shape of a square around the edges of each of the straps. Position the needle from the edge of the first waist strap and apron body hem. 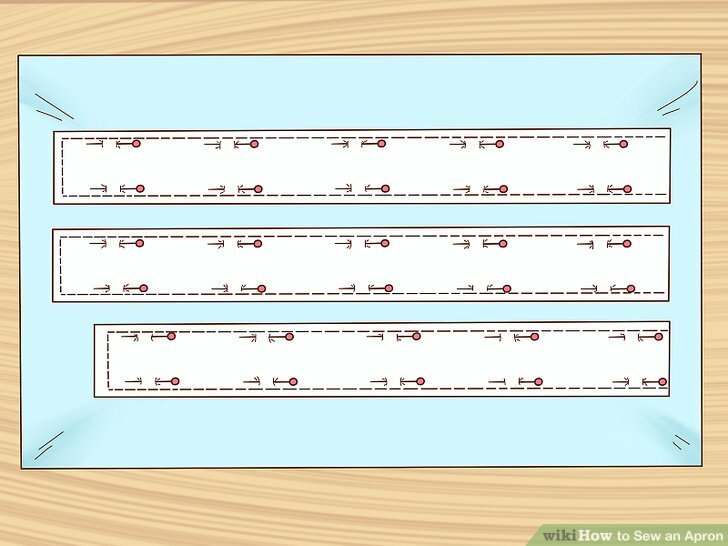 Then, sew a straight line over from your start point. Rotate the fabric 90 degrees and then sew a straight line down the bottom edge of the strap. Continue to rotate and sew until you have completed the square.